SS 310 Seamless Pipes Dealer in Ethiopia, 310 Stainless Pipe Manufacturers, Alloy 310s Supplier, Stainless Steel UNS S31000 Welded Pipes in Brazil, 310S Welded Tubing in Ghana, SS 310 Tubing Exporter in South Africa. Sangeeta Metal is one of the leading Manufacturer, Supplier and Exporter of Stainless Steel 310 Pipes that are actually manufactured from High Quality of Standard Raw Materials and are designed as per with national and international standards. 310 Stainless Steel Pipes is austenitic product that is being developed for the usage in elevated temperature corrosion resistant functions. 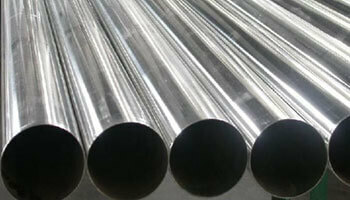 The alloy resists oxidation for up to 2010 Deg F (1100 Deg C) under insignificantly cyclic environments. Our 310 Pipes can be effortlessly welded and handled by standard shop fabrication practices. Also known as UNS S31000 Pipes, we offer these SS 310 Pipes in custom-made shapes and sizes as per the requirements given by our clients, and that too at an affordable and market leading prices. ASTM A312, A269, A249 SS 310 Pipes in Africa, Alloy 310s Supplier, SS DIN 1.4845 ERW Pipes Stockiest in Chile, 310 SS EFW Pipes in Libya, Stainless Steel 310 Rectangular Pipes Supplier in India.